Mexico’s ONEFA – Organización Nacional Estudiantil de Futbol Americano (National Student Organization of American Football) and CONADEIP, Comisión Nacional Deportiva Estudiantil de Instituciones Privadas, A.C. (private university league), have both kicked off. The ONEFA is the a league in Mexico made up of most of the public university American football teams in the nation while the CONADEIP is a scholarship league. Th ONEFA is composed of 23 teams divided between the Green and White and Red conferences, each with its own champion, the Green conference is the highest level, the green and White conference have inter-conference games. The CONADEIP has 11 teams in two conferences, the Libertado and the Independence. In 2018, a bowl of champions was played, between the champions of the ONEFA, the UNAM Pumas CU and the CONADEIP champion, BORREGOS Toluca, with Toluca capturing their first ever Mexican college title beating the Pumas 16-15. Pumas UNAM Acatlán opened the season by defeating the Leones of the Universidad Anáhuac Querétaro 14-3, in the inaugural match of the White Conference. In the Green conference, the highest conference, exploiting his ground attack of power during the last quarter, where Marcelo González (28), Erick De Hoyos Argueta (10) and Abraham Sosa (22) played a fundamental role, Tigres of the Universidad Autonoma de Nuevo Leon (UANL) ) had to come from behind to defeat 22-16 the Leones of the Universidad Anáhuac México Norte (UAMN), for three quarters the defense of the Lions, kept his team in the fight, but in the last period the larger size of the offensive line of the UANL ended up tilting the balance in his favor whit scorre until the fourth quarter. The Tigres (1-0) will travel in the second week to the city of Toluca to face the Potros Salvajes of the UAEM (1-0), who defeated the Frailes of the University of Tepeyac 40-21. The first game of the weekend saw the Black Lions of the UdeG lose to Tlahuicas Morelos 42-35 in their home debut. A resounding three touchdown performance in the third quarter, gave the Linces of the University of the Valley of Mexico, campus Lomas Verdes, a 27-24 win over the Aguilas of the UACH, in a match in Chihuahua. An interception by defensive tackle Adrián García Niño (70), on the 11 yard line of visiting territory, opened the door for Correcaminos Victoria QB Erick Luján Ruiz (16) to score in the middle of the fourth quarter, and with that the the Victoria took the “Classic Tamaulipeco”, overcoming the Reynosa Correcaminos of the UAT 14-7, in an extraordinary day for the Red Conference. Finally, the Lobos of the Benemerita Universidad Autonoma de Puebla (BUAP) evened the score in the final seconds, and in overtime they went on to defeat the Universidad Veracruzana, 21 -14. In White conference action in Cancun, a failed extra point and an unsportsmanlike penalty allowed the Leones of the U. Anahuac Cancun to start their overtime possession from the 12-yard line, and they took advantage, scoring and going on to defeat the Lobos of the UA of Coahuila, 32-31 in overtime for the first ever win over the Lobos. The Borregos of the Tec de Monterrey campus Queretaro came from behind to beat the Cimarrones of the UABC 19-14 in the inaugural match of the season 2018 of the Premier League of the Conadeip held at UABC Otay field. As the CONEDEIP Week 1 continued, the Borregos MÉXICO (MÉX) opened their play in the Independencia Group. The Borregos Mexico (1-0) hosted the Borregos Guadalajara (0-1), but it was Guadalajara who took an early first quarter. However, Borregos México responded with 25 unanswered points in the second quarter to the break with a comfortable 25-7 advantage. 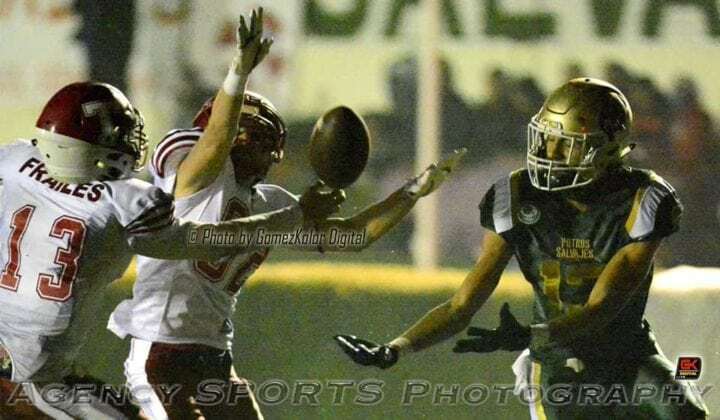 In the second half, it was the visitors who made the adjustments on defense and their offense also responded but it was not enough as the home team held on for a 25-20 win. In the Temple of Pain in Cholula, the Aztecs of the UDLAP (0-0) played host to the defending CONADEIP champions, the Toluca Borregos (0-0), in a rematch of the 2017 championship game, the Aztecs opened the scoring in the first quarter 3-0, but Toluca responded with 7 points. The Aztecs then took a 10-7 lead but with less than a minute left, Toluca scored to move ahead 14-10 at the half. Late in the third quarter, with Toluca still leading, the game was called off as thunderstorms ripped through the area. No date has been set yet for a resumption of the game. The final game of the weekend took place in Monterrey, where the Borregos Monterrey (1-0) hosted the Borregos Puebla (0-1), in a match where Monterrey dominated from start to finish. Monterrey took a 21-0 lead at the half and then held on, adding another touchdown in the third quarter to blank the visitors 27-0 earning their first in of the season.